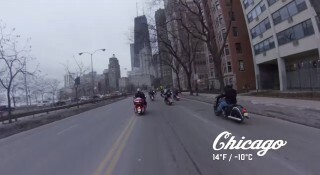 Journalists in the USA had their first ride of the Chief Dark Horse in Chicago in freezing temperatures on February 13th 2015. 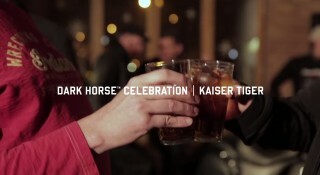 They then warmed up at the Kaiser Tiger restaurant – a cool hangout serving ‘beer, bacon and sausage’. 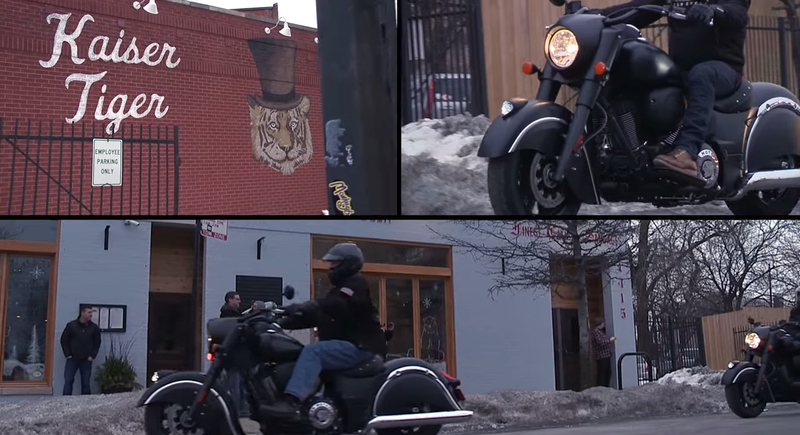 The new model itself is raw and edgy…it’s made to be ridden hard and put away dirty. The Chief Dark Horse is entirely black. It’s unpolished and understated, with only a flash of chrome. 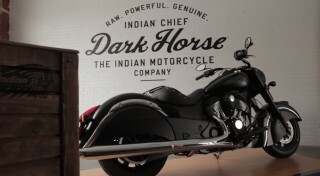 It’s the gritty brother of the Indian Chief Classic. Both bikes have the same frame and suspension, same great ride and handling, same rider ergonomics – and, like all Indian Chiefs, feature the powerful Thunder Stroke 111 engine.